Julian Support, a Norfolk charity that offers support to people with mental health issues, is using Lookout Call to help protect all outreach staff who often spend long periods of time working alone in remote areas of the county. 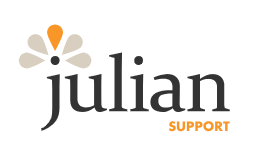 Julian Housing works in close partnership with Norfolk Social Services, Norfolk Health and all the major housing providers to assist young and old people with mental health problems live in their own homes within the community. Why Lookout Call? The charity used to employ a diary system but was very aware of its limitations. Diaries were often out of date and the charity did not always know where their staff were located. Steve Groombridge, IT and Facilities Manager, was passed an article about issues relating to lone worker safety which prompted a review to the charity’s own procedures. It decided to investigate the possibility of using an automated lone worker safety system, such as Lookout Call, in order to eliminate the possibility of staff being overlooked. Following a successful pilot Julian Housing fully integrated Lookout Call into its health and safety procedures. The charity provides comprehensive personal safety training to all outreach staff and students who regularly work alone in the community. They also run regular refresher training sessions and this has played a key factor in the staff’s acceptance of the system. “Lookout Call is a very cost effective solution for non profit organisation like ours,” says Steve Groombridge, IT and Facilities Manager.